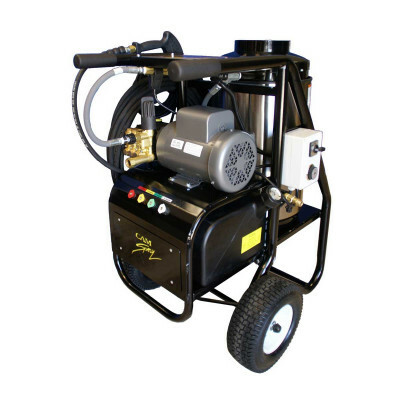 The SHDE Series hot water pressure washer features a heavy duty 1.5 inch diameter powder coated steel tube frame with a solid 3/4 inch axle and 13 inch pneumatic tires. The SHDE series compact and mobile design allows easy maneuvering around the job site. Five SHDE models are available from 1000 PSI to 3000 PSI. Customers who were interested in the 1000 PSI Diesel Fired Pressure Washer were also interested in the following items. This is a review for the 1000 PSI Diesel Fired Pressure Washer.